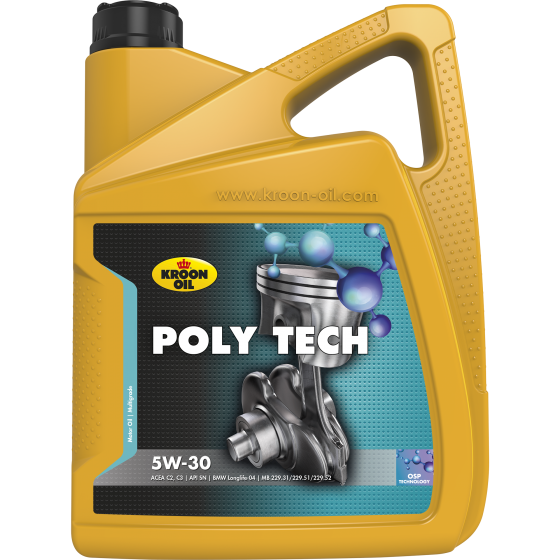 Poly Tech 5W-30 is suitable for use in both petrol and diesel engines in cars and vans. By using special ‘OSP’ additives, Poly Tech 5W-30 is ideally suited for use in vehicles exposed to extreme conditions. This may include frequently crawling through heavy traffic, 'sporty' driving or regular cold starts.